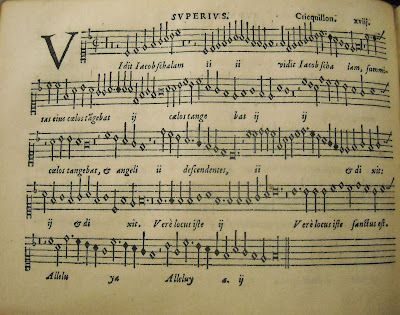 The development of music printing at the onset of the sixteenth century changed the European musical world. 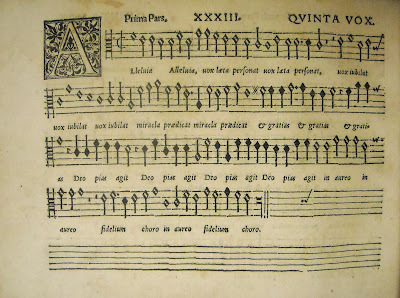 Before Petrucci’s first printed collection in 1501, written music was available only to those who had the time or the money to copy it by hand. With the advent of printed music, new works could be disseminated quickly and across great distances. 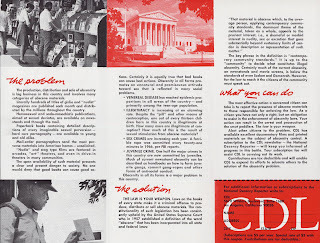 An even greater boost to the publication of music came with the development of type that contained both the note and a complete set of staff lines. Petrucci’s beautiful publications depended on a laborious process in which the staff lines, notes, and text were each laid down with separate impressions, requiring painstaking precision. The new type enabled a single-impression process, making affordable music available to many more customers. The interrupted lines and blocky presentation were a small price to pay for greater availability. The educated classes could now emulate the nobility, purchasing the latest compositions and making music in their homes. Lovers of music—amateurs in the best sense—perfected their skills in singing and playing. Composers, freed from their dependence on courtly posts, could now profit directly from their work and also improve their job prospects through enhanced reputations (though patrons were still a necessity). The second half of the sixteenth century saw a flowering of music publishing; the market for chamber music helped drive the growth of the madrigal and motet as forms well suited to home music-making, for both voices and instruments. In order that a group of singers or instrumentalists could easily read the notes, music was commonly published in separate partbooks, one book for each vocal or instrumental line. Since there was no conductor, a full score was unnecessary, and any one of the participants could supply the tactus—the pulse that keeps the parts together. The number of people who could participate in the music-making was determined by how many could see to share a part. Any one publication, therefore, was made up of several partbooks, each one a thin pamphlet with no more than a paper cover. To protect and preserve them, the buyer could seek out a binder to make a more permanent cover. It often made sense to bind together several partbooks from different publications into a larger volume, each volume representing one voice or instrument. This highly practical system had one drawback: since the individual parts of one publication were not physically attached to one another, it was inevitable that over time these partbooks would become separated. Today it is rare to find a complete set of sixteenth-century partbooks intact. However, single partbooks do occasionally become available on the rare books market. Brandeis is very fortunate to have several of these books in its Gorham Collection. The Walter F. and Alice Gorham Collection of Early Music Imprints was established in 1998. In addition to treatises on the theory and performance of music, the collection includes eight partbooks, ranging from slim publications to large bound collections. These books contain parts to hundreds of pieces from the second half of the sixteenth century, published by some of the most influential printing houses of Italy and northern Europe. Brandeis scholars can work directly with the original texts, observing at close hand the details of printing and binding, watermarks and marginalia, that help to inform our understanding of the dissemination of music during this great flourishing of polyphony. The tenor partbook from Giovanni Piccioni’s Il quarto libro de madrigal i à cinque voci is an excellent example of how such a book would look before being taken to the bindery. The pages are sewn together and protected by a multicolored paper cover. The book contains the tenor parts to twenty-one madrigals. Although at least eight books of his madrigals were published in Venice during his lifetime, no modern editions of Piccioni’s music have yet been undertaken beyond one charming piece from a contemporary anthology. 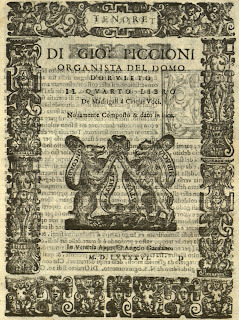 This book, the fourth of Piccioni’s madrigal collections, was brought out in 1596 by Angelo Gardano, a prolific Venetian publisher who produced almost 1000 publications over the course of his career. 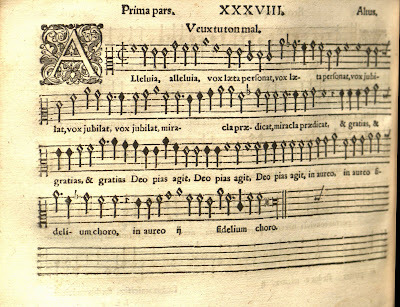 The bass partbook for the Canzonette à tre voci of Orazio Vecchi and his student Gemignano Capilupi contains the lowest part for thirty-four light and amorous trios. 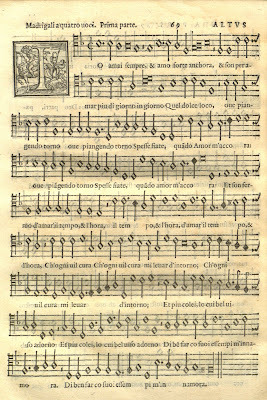 The canzonetta was a short, strophic song which, in Vecchi’s words, “did not bring great fatigue of mind.” In addition to the three vocal parts there would originally have been a fourth partbook containing tablature for a lutenist. Since the lute part doubles the voices, these pieces lent themselves to a variety of combinations from unaccompanied vocal trio to solo voice and lute. This kind of flexibility probably made for excellent sales for Angelo Gardano, who published this collection a year after the Piccioni. Despite the felicity of this early partnership between master and student, undertaken when the younger musician was only twenty-four years old, Vecchi and Capilupi were not to remain friends. Capilupi’s jealousy over his master’s reputation eventually led him to cause Vecchi’s dismissal as maestro di capella at Modena Cathedral. When the older man died a year later, his rival succeeded to his posts both there and as musical director to the Duke of Modena. While Vecchi’s name is still known today, however, Capilupi’s fame has not weathered the passage of time. 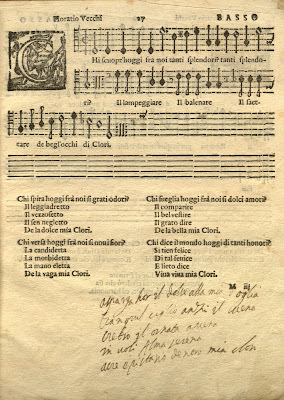 The bass partbook in the Gorham Collection contains some contemporary annotations, including an additional verse to one of the songs, Chi scuopra oggi. Though the poetry does not fit the music as elegantly as the original text does, it gives us a compelling image of the man who once held and sang from this book. What caused him to add a verse to a song extolling the beauties and virtues of the fictional Clori? Who was his inspiration? Did he sing these words for her? The Gardano printing house was founded in Venice in 1538 by Angelo’s father Antonio. Antonio (originally Antoine) had moved from France to Venice in the 1530s. He was a composer in his own right and was acquainted with many of the leading musicians working in Italy. One of these was the Netherlandish composer Adrian Willaert, who was born around 1490 and died in Italy in 1562. Willaert was one of the most influential composers and teachers of his time, numbering among his students the madrigalist Cipriano de Rore and theorist Gioseffo Zarlino (a print of whose influential Le istitutioni harmoniche also resides in the Gorham Collection). 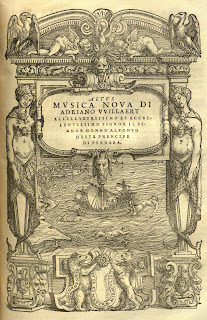 Although Willaert’s works had appeared in anthologies, it was the monumental collection Musica Nova that exemplified the significance of his work. The book was unusual in its time for containing both sacred and secular music. We can divine the influence of this publication from the fact that it is referred to in over a hundred extant documents from the period. Duke Alfonso d’Este subsidized the printing of this seminal work in 1559, for which Gardano devised a new format. His previous publications had been oblong, but this one is an upright quarto. He also introduced a newly designed typeface and decorated initials for this publication. The clarity of the newly-cast type is striking when compared to earlier publications. 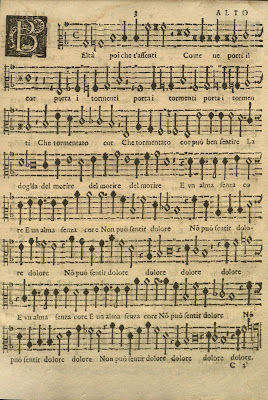 Gardano reused this deluxe design for a five-volume compilation of motets, the Novi Thesauri Musici, in 1568. 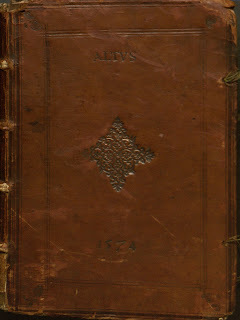 The Gorham Collection contains a bound volume comprising the altus partbooks for the complete Novi Thesauri along with Willaert’s Musica Nova. Altogether this volume represents over 300 motets in addition to the 25 madrigals that make up the second half of Willaert’s book. Enhancing the collection are a number of handsome woodcuts. In 1611 the Gardano firm passed to a third generation. Angelo’s daughter Diamante and son-in-law Bartolomeo Magni retained the illustrious name. Starting in that year, the printing house brought out six volumes of madrigals by Carlo Gesualdo. Those who know Gesualdo’s name today are likely to associate him with two things: chromaticism and murder. The Italian nobleman, who lived from 1561 to 1613, was early viewed as a dilettante, but earned the name of musician through his many publications, most notably the six volumes of five-part madrigals. His visibility increased after the assassination of his first wife and her lover, as did his “mad passion” for music, and this was further enhanced by his connections with the court of Ferrara after his marriage to Leonora d’Este. As a prince, he was not constrained by economics to write music that would widely please, freeing him to push the boundaries of the madrigal with chromatic alterations and rhythmic surprises. The Gorham Collection boasts the only complete set of Altus partbooks to his madrigals in this country. Similar volumes that appear to have been their original partners are held in other U.S. libraries. 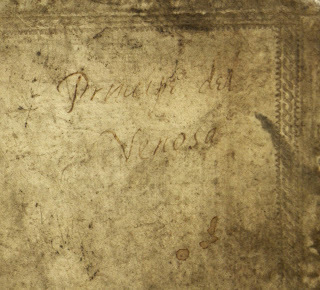 The partbooks are bound together in contemporary vellum and inscribed with “Principe del Venosa” on the front cover. 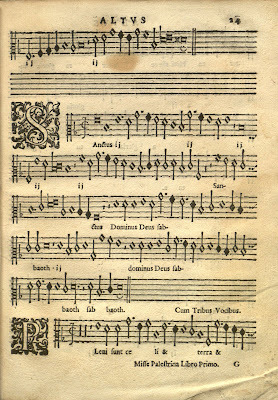 Below, a page from his sixth book of madrigals illustrates Gesualdo's chromatic lines. Allesandro Gardano, Angelo’s brother, worked side-by-side with him in Venice after their father’s death in 1569, but after six years he withdrew his assets from the firm and set up a separate shop. In the early 1580s he moved his press to Rome, where he focused on nonmusical editions, though he also p ublished a number of sacred works by some of the leading Italian musicians of the day. Among these was the Roman composer Giovanni Pierluigi da Palestrina, whose writing has for centuries been held up as the ideal of polyphonic style. In 1591, the year of his death, Allesandro brought out a new and expanded edition of Palestrina’s first book of masses, containing works for four, five, and six voices. The alto partbook in the Gorham collection provides students with a remarkable opportunity to study these works at close hand. Like that of the Gardano family in Venice, the name Gerlach was associated with printing in Nuremberg. When Katherina Berg married Theodor Gerlach in 1565 she was already an experienced printer, as well as a widow twice over. Gerlach, who had probably been employed as a printer by her late husband, continued to run the company until his death in 1575, after which Katherina ran the firm on her own for another seventeen years. Among their many publications they brought out a number of large collected editions of individual composers, among whom Orlando di Lasso figured prominently. Lasso (1532–1594) was a prolific composer widely known and admired in his day. 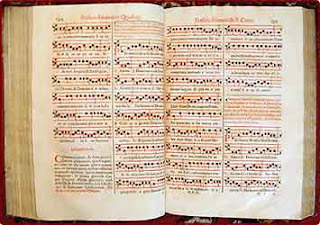 In 1568 he issued the first of many volumes of motets under the title Selectissimae cantiones… (“The choicest sacred songs, which are commonly called motets, partly altogether new, partly never before printed in Germany”). Brandeis owns a copy of the Quintus partbook of this work. Included in this book is a sacred contrafactum of a chanson first published nine years earlier; a piece that had begun life as a bawdy song was recycled as a joyful Alleluia. Nearly twenty years later this book was reissued in a revised and expanded form, under the title Altera pars Selectissimarum cantionum. The Gorham collection is fortunate to own a copy of the Altus partbook from this print, beautifully bound in leather with two other Lasso works. In combination with the Quintus partbook of the original print, Brandeis students can thus study two parts for some of the same pieces. Below are images of pages from these two prints showing the Alleluia, vox laeta with its original French title identifying its secular roots. Probably the most compelling source of polyphonic music in the Gorham Collection is a hefty volume of Superius partbooks from the 1550s and ’60s, bound in tooled leather and stamped with the date of 1571. The remnants of brass closures are still attached to the cover, and tiny leather tabs are affixed to the first page of each book. 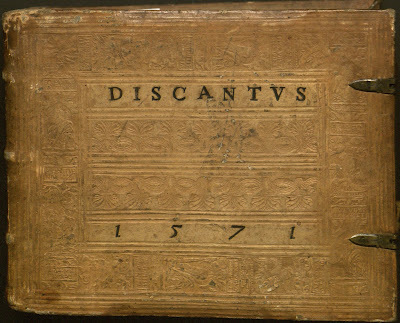 The first six partbooks in the volume are anthologies of motets published in Antwerp by Hubert Waelrant and Jan de Laet under the title Sacrarum Cantionum. Together they give a vivid snapshot of mid-century Franco-Flemish sacred music. Thomas Crecquillon, a member of the royal chapel for Emperor Charles V, died shortly after these anthologies were published. His work is well represented in these partbooks. Vidit Jacob scalam, pictured below, is a setting of the story of Jacob’s dream from Genesis 28: “Jacob saw a ladder, the top of which reached to heaven and angels descending on it.” The ladder (“scalam”) is illustrated by the opening scale, while the ascending and descending notes give a vivid picture of the angels going up and down. This kind of “word-painting” is most vivid in its original notation, where the diamond-headed notes are printed in close proximity, not interrupted by barlines or spaced according to their durations as they would be in a modern score. Bound among the sixteen partbooks in this volume is one that has no title page; it has been identified as XIX Cantiones 4 & 5 vocum of Gallus Dressler, published in 1569. Brandeis senior Al Hoberman spent the fall 2008 semester researching this composer, whose work has yet to be brought out in a modern edition. Working from a microfilm of a complete set of partbooks, Hoberman has reconstructed one of the motets, Fasset eure seele mit gedult, pictured below. 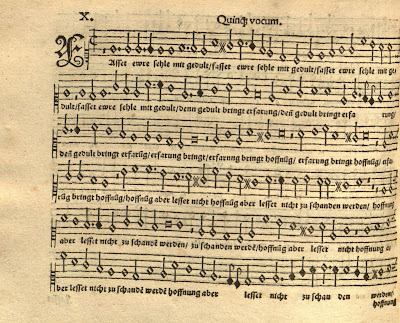 Most of the motets in this collection are on Latin texts, but three of them are in German. Dressler was a Philippist—a follower of a liberal sect that splintered from the Lutherans—who taught and wrote extensively about music theory and the expressive setting of text. His humanist leanings are demonstrated in his choice of a biblical text that focuses on personal responsibility. In 1569 Clemens Stephani, a contentious poet, editor, and bookseller from what is now the Czech Republic, published in Nuremberg a collection of fifteen settings of Psalm 128 for four to six voices under the title of Beati Omnes. The list of composers whose works are included ranges from some of the most well-known of the day to others who were already considered old-fashioned, and includes some so obscure that they appear in no other publication. The idea of collecting settings of the same text by many composers was uncommon and may have reflected Stephani’s Protestant zeal for education and moral uplift that is reflected in his literary publications. He was unable to hold any position for long because of his “poisonous, blasphemous tongue” and died penniless in 1592. This unusual collection is found just before the untitled Dressler partbook midway through this volume. The works in this collection range from books by some of the most prominent composers of the day to some of the most obscure. Surprisingly, two different copies of Giaches de Wert's first volume of motets also appear here. One of these was printed in 1569, and the other—tucked in towards the end—is from the original 1566 printing. The appearance of two printings of the same book within this large collection of prints is quite curious. It lends to the impression that this splendid volume was compiled by a collector who was more interested in amassing an impressive anthology than in examining its contents in depth. One imagines a man with more money than he could keep track of sending his agent out to buy up all the latest sacred music. Perhaps the bookseller saw this as an opportunity to offload a few items from his remaindered list. This volume, richly bound and clasped and shelved alongside its companion partbooks, must have been a part of a handsome private library, or perhaps it was compiled for the court. One wonders how many of the hundreds upon hundreds of pieces it contains were ever read through in the household for which it was obtained. How many hands has it passed through since, and when did it become separated from its companions? The partbooks in the Gorham collection represent a rich source of repertoire in its original notation. In the autumn of 2008 the Brandeis Early Music Ensemble undertook a project to perform representative works from each of these volumes. They again performed some of these works in a presentation at the Rapaporte Treasure Hall in the Goldfarb Library on Friday, January 16th, 2009, where audience members had the opportunity to see some of these books in person and read from facsimiles of the original notation. Sarah Mead, director of the Early Music Ensemble, provided comments on the works to be performed. See a catalog listing of the Gorham collection works here. In a Boston Globe article from May 7th, 1967, independent collector, archivist, and researcher Gordon Hall is quoted: “What I do is essentially engage them eyeball to eyeball. Confrontation on a daily basis. No one else does it.”  Hall was speaking of his interactions with the extreme left- and right-wing groups whose materials he painstakingly collected for the better part of his life. A portion of these materials is among the Hall-Hoag Collection of Extremist Literature in the United States held by the Brandeis Special Collections Department. This summer, I had the pleasure of spending dozens of hours combing through Hall’s collection of over 5,000 objects, performing minor preservation work on the materials and creating a digital finding aid to the collection. Presented here are a few of the interesting finds from the 42 linear feet of materials. Gordon Hall was an American soldier in the Pacific theater of World War II. During his time in service, he was introduced to many left-wing political ideas while fighting against the fascist ideology that would later come to resemble some of the writings of right-wing groups in America. Though he never finished high school, his studious nature made him curious about both sides of the political and religious coin, and his investigations into the history and aims of political organizations began. In the same Boston Globe article he wrote: “communism is bad, but this [anti-Semitism and racism] are just as bad. As far as I can see, there are two extremes worth fighting and I guess that’s what I really want to do.”  The materials in the collection date from the late 1940s through the early 1980s. Together, they act as a barometer of the political climate during the postwar period. As with all archival collections, the materials tell us as much about their time as they do about our own moment. 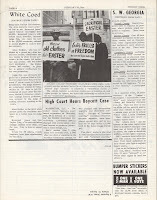 Such materials as the Manion Forum Organization brochure demonstrate the importance of the media and street organizing in creating a movement. Not unlike the campaigning in this most recent presidential election cycle by thousands of volunteers, the tools of the Manion Forum Organization, a conservative club “concerned about liberals, socialists, and com munists,” were radio and televi sion advertisements, the distribution of printed materials, and door-to-door volunteers. The brochure’s graphics of countless modest homes are paired with the caption: “The Manion Forum Penetrates Millions of American Homes Every Week.” The map on the opposite side shows the potential reach of radio, television, conservative clubs, and campus radio networks across the U.S. The striking graphics employed by various organizations are themselves interesting. 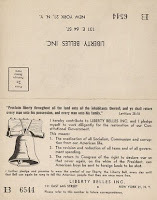 Throughout the collection, several right-wing organizations employ the well-worn Liberty Bell motif; a few of these include the Liberty Bell Press from Missouri, which investigated communist activity within the U.S.; the publication Through To Victory, a Christian anti-communist organization; the Liberty Belles, a female-only organization interested in reining in government power and spending as well as eradicating communism, socialism, and anarchism; and The Liberty Bell, an anti-Semitic publication. Though some of the materials are independently well known, like the Weather Underground publication Prairie Fire, together this collection is an invaluable gathering of materials relating to extremist movements within the United States. Several are shocking, and all are sectarian. This cursory glance does little justice to the breadth of the collection; more materials were on view at the Archives & Special Collections Show and Tell event on March 5, 2009. For more information, please contact the Robert D. Farber University Archives & Special Collections Department at ascdepartment@brandeis.edu. See the Hall-Hoag Collection finding aid here. Boston Globe. 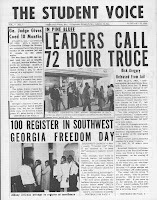 May 7, 1967. pp. 28-35. Journalist, critic, and feminist Margaret Fuller wrote an essay in 1846 entitled “American Literature; Its Position in the Present Time, and Prospects for the Future.” Its first line read, “Some thinkers may object to this essay, that we are about to write of that which has, as yet, no existence.” Walt Whitman (1819–1892) took up the implicit challenge (as well as explicit ones from other pens, notably Ralph Waldo Emerson’s) and, nine years later, brought out the first edition of his landmark work in verse, Leaves of Grass. The moment was a defining and pivotal event in the history of that which, in the minds of some arguably unimaginative thinkers, did not yet exist; this much is clear to us over 150 years afterwards, but the Whitman we know today is, of course, not the Whitman we knew then. History is tidy only in retrospect. His answer to Fuller’s call was immediately if not universally recognized, but as his reputation evolved over the first hundred years following the work’s first publication, our understanding, like the continual revisions to which he subjected the poems, of the way in which he answered that call has dilated and expanded in directions as unpredictable and provocative as Whitman himself. We can only take stock of that understanding—and attempt to say something useful about it—if we return to and look closely at the texts and artifacts that document it. Brandeis University’s Department of Archives & Special Collections is fortunate to have acquired an interesting and varied assortment of these over the years; our collection affords a broad range of impressions to be had in service of this effort. In September of 2008 we held a Show-and-Tell event showcasing a representative selection of our Whitman texts and artifacts; we were terrifically pleased to see so many visitors and regret only that we could not display more as a result of space limitations. We inherited custodianship of these materials from several different sources: some were independently obtained or came as part of larger groups of items that were not all directly related to Whitman; many comprise the collection donated to us by Mitchell Slobodek, one of Brandeis ’s early benefactors; and several items came to us via the legacy of Professor Milton Hindus, one of the university’s thirteen original faculty members and a renowned Whitman scholar. 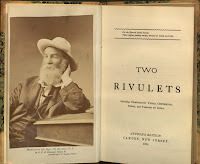 The items range from first editions of landmark volumes of Whitman scholarship and early confrontations in print of “the Whitman controversy” (or, more accurately, controversies) to numerous early and fine press editions of his poetry and prose, both in book form and in the oftentimes much more difficult-to-find periodicals. The first edition of Whitman’s major poetic work, Leaves of Grass, was published in 1855 at his own expense, and bore only his image—no name. Though we unfortunately do not have one of these, we are lucky enough to have a copy of the second edition, published in 1856. 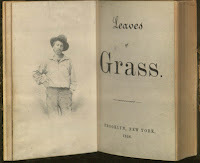 From the first to the last of the six editions of Leaves of Grass, the structure and layout of the book was invested (to the extent that he could influence them) with as much significance by Whitman as the words themselves. We are reminded of this when we consider his lifelong involvement with printing shops and binderies; he was even known to have set th e type for many of his publications himself. The editions in our collection allow this attention on Whitman’s part to the whole work to be examined in careful detail, alongside the work done in a similar spirit by printers of later generations in the form of skillfully and beautifully executed fine-press volumes. Though these later examples, one of which is—amusingly enough—bound in grass, cannot be said necessarily to have lent expression in every case to Whitman’s particular vision of the ideal fusion between the word and its vehicle, it is certainly true that many of them aim at a realization in illustration and form of the themes the poet addressed throughout his career. 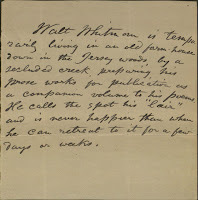 Leaves of Grass, though his best-known work, was not the only form in which Whitman published his poems—nor were the poems, however famous, the only thing he wrote. We have in the collection a wide array of other editions of his poetry and prose, including rare early printings of Drum-Taps, Rivulets of Prose, and November Boughs. Also, we are tremendously lucky to be in possession of a proof sheet for his “Passage to India”—this poem was written in 1868 and published in 1871, first as a separately bound supplement to Leaves of Grass and later incorporated into it. Whitman’s only book-length work of fiction, the temperance novel Franklin Evans; or, the Inebriate: A Tale of the Times, was written and published in 1842 while he was working at Park Benjamin’s printing house in New York. He came to regret having written it later in life, calling it “damned rot” and claiming (perhaps in jest) to his friend Horace Traubel that he actually wrote the novel under the influence of alcohol. As critic William Lyon Phelps pointed out in 1924, “it sounds like a burlesque on a temperance tract.” It was not one of those works to which Whitman tirelessly worked to attract attention; much to his later chagrin, he did not have to, as the novel proved to be one of his life-long bestsellers. We have a very attractively bound edition of it from 1929. During his lifetime, Whitman’s work was already being brought out in trans lation and in foreign editions. We have a selection of these from both before and after his death, including French, German, and Italian versions of Leaves of Grass as well as some examples of publicity in foreign-language periodicals. Alongside these can b e found a rich gathering of early and late scholarship, covering Whitman’s relationship to Lincoln, his oft-commented-upon interest in opera, and his voluminous correspondence, among many other subjects; these are fascinating as a group for the perspective they provide in developing our contextual understanding of the ways in which we have understood this “poet of democracy,” in consideration of wh ich we began this posting. Unfortunately, in the space of such a necessarily brief note we cannot hope, once again, to acquaint you with the full range of artifacts in our collection, but we invite you to visit our website in the coming months to peruse the online exhibit we are building from these materials; we anticipate this being ready some time in December or January, and it will include many more digitized images than those you see here. 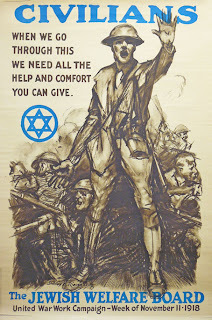 Brandeis University’s World War I and World War II Propaganda Posters Collection includes nearly a hundred different images illustrating scores of different wartime topics. Initially inspired by the examples in western European countries, the creation and production of visually stunning, applicable pictorial publicity immediately gathered a substantial level of artistic involvement and industrial application in the United States. World War I created greater demands on both physical and human resources on an international scale than had ever been thought necessary before. The war was first and foremost one of industrial competition, in which the manufacture of arms and munitions became essential; it was a war in which recent inventions like the airplane and the machine gun were used with deadly effect, and a new invention, the tank, was introduced. Additionally, it was necessary to engage the will of the entire population. 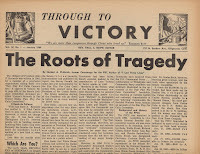 Information pertinent to the war was needed and had to be supplied by traditional means, such as newspapers, proclamations, and notices; newer media were also required, like film and pictorial posters, which were able to persuade as well as inform. Gaining popularity q uickly, by 1914 posters were as well established as press advertising. To be sure, it would have been folly for governments to have neglected such a successful medium. Indeed, governments exploited posters. 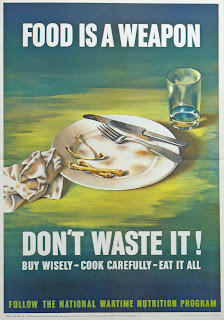 They were used to call for recruits (“Join the Navy: The Service for Fighting Men”), request loans, make national policies acceptable, spur industrial effort, channel emotions such as courage or hate (“Beat back the Hun”), urge conservation of resources (“Food is a Weapon: Don’t Waste It!”), and inform the public of food necessities and food substitutes. Charitable organizations, such as the Red Cross, the YMCA, and the YWCA, requested financial support for fighting men and civilian casualties. 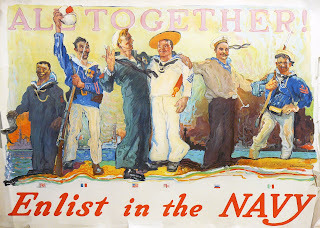 The posters in Brandeis Special Collections include outstanding examples of all these types, as well as some more specialized posters, such as “All Together: Enlist in the Navy,” which depicts sailors from different countries. 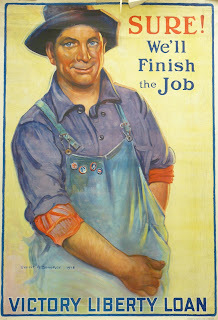 As befits a democratic nation, the majority of the images were aimed at ordinary citizens, reflecting back to them their strength, thriftiness, and common humanity—all of which encouraged the viewer to identify with the down-to-earth attitude of the laborer, who would work hard and spare a portion of his earnings for the war effort. In 1919, The Poster Souvenir Edition interviewed Gerrit A. Beneker about his poster “Sure! We’ll fin ish the job!” for Victory Liberty Loan. 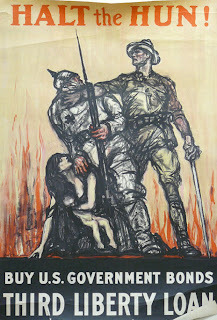 He said of the painting, “I took a working man as my hero [who was] known to every man, woman, and child in the country.” Also, food administration posters made a play on the sacrifices of the troops in Europe to motivate the people at home to contribute as much as they could spare (“They are giving all. Will you send them wheat?”). Visually and textually, the war effort at home was likened to that of the front. Men and women were portrayed as, and encouraged to be, active citizens. It must be noted, however, that the United States was an immigrant country, and notions of the nation were potentially unstable. The government therefore promoted national unity through labor, service, and the family in slogans such as “Together we win.” Additionally, some posters specifically appealed to immigrants themselves who were asked help in the cause. For example, C.E. Chambers depicts newly arriving immigrants via boat, gazing at their new homeland with the Statue o f Liberty in the background and a red, white, and blue rainbow arching over the golden silhouette of Manhattan. 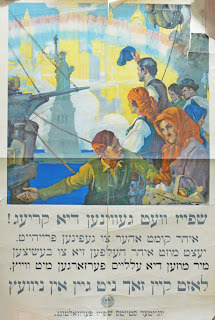 The most striking aspect of the American poster, however, is the Yiddish text. The translation is as follows: “Food will win the war! You came here to find freedom Now we must help to defend her We must supply the Allies with wheat Let nothing go to waste. United States Food Administration.” The war effort was often articulated within a language of freedom, progress, and happiness. In the United States, certain illustrators were so popular that they played a dominant role in the production of war posters even though they had not previously been identified with poster art. For example, artist James Montgomery Flagg created a self-portrait for his depiction of Uncle Sam, one of the most widely reproduced images in history (over five million copies are said to have been printed). Cheerful glamour was contributed by Howard Chandler Christy, whose “Christy Girl” enticed men to fight or to buy liberty bonds (“I Want You for the Navy”). In addition, the poster collection at Brandeis includes such other famous artists as Adolph Treidler, Edwin Howland Blashfield, Harrison Fisher, Casper Emerson Jr., Henry Patrick Raleigh, and Haskell Coffin, among others. A lthough the posters are now seen out of their original context, it should be noted that they were often used as part of a bigger campaign, together with personal appearances by politicians and celebrities, pageants, press advertisings, flag days, and the introduction of popular songs, as well as in oversized formats that occupied billboards (such as “Joan of Arc Saved France” and “Teufel Hunden,” seen here). 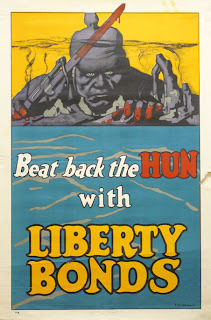 Nevertheless, to look at a group of war posters together, as in this Spotlight, is to get an understanding of the immediate response they inspired. Their overzealous patriotism would not be possible today; personal appeals—“I want you,” “What did you do?”—were widespread. 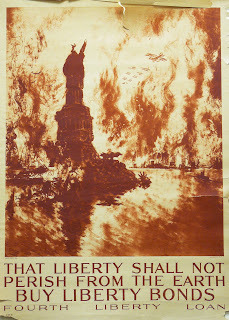 These posters, too, give a many-sided image of war and its effects: the fatigued soldier, the despair of victims, and apocalyptic scenes of cities such as in Joseph Pennell’s painting “That Liberty Shall Not Perish From The Earth: Buy Liberty B onds—Fourth Liberty Loan,” which shows enemy fighter planes bombing New York harbor and decapitating the Statue of Liberty. The aim of these posters was to show the disruption of normal, everyday life. Most important, these posters are valuable as historical documents. One’s idea of World War I is darkly colored by knowledge of corpse-ridden battlefields and the appalling conditions of trench warfare. These posters give some flavor to the period as it was experienced by civilians. 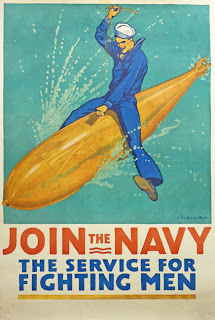 If one is astonished at the psychological approach of recruiting posters in this period, that is primarily due to a historical misunderstanding that posters can hel p to correct. In these posters exist old feelings one could not know in any other way. Amazingly, although the United States entered the war rather late—April of 1917—it produced more propaganda posters than any other single nation. 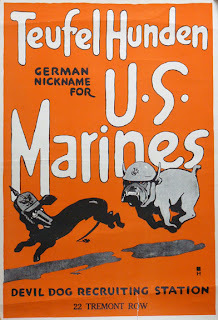 During the interwar period and World War II, other countries, particularly Germany, were inspired by American propaganda posters due to their positive effect on the nation’s citizens. Interestingly, the latter part of the twentieth century saw manufactured propaganda posters that were used to protest wars as much as they were used to support them, if not more. Even today, the poster is the exemplary medium that appeals to the most modern phenomenon: the masses. 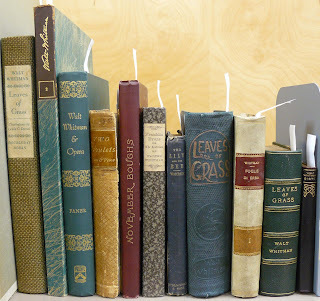 To learn more about these and other collections held in Brandeis University's Special Collections, please contact Anne Woodrum, Special Collections Librarian. The Archives and Special Collections department houses the gems of the Brandeis library. The rare book collection includes incunabula; books published in the 16th - 18th centuries on such subjects as history, English and American literature, philosophy, and Judaica; first and limited editions; and fine press publications. Book collections of note include the Baldwin Shakespeare collection and the McKew-Parr Collection on Magellan and the Age of Discovery. 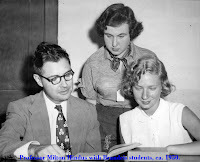 Special Collections also holds literary manuscripts of European and American authors such as John Cheever and Joseph Heller, as well as music collections and photographic collections. 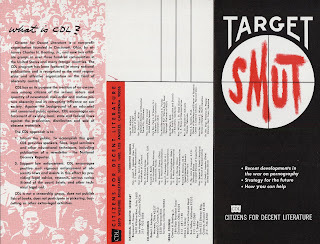 In addition, it includes collections of materials on the Spanish Civil War, left- and right-wing movements in the United States in the latter half of the twentieth century, anti-Semitism, the Holocaust, twentieth-century anti-alien and anti-radical movements in the United States, and Zionism. The department also includes the papers of prominent political figures such as Louis D. Brandeis, Benjamin Disraeli, and Daniel Webster. All images are the property of the Robert D. Farber University Archives and Special Collections, Brandeis University. Not to be reproduced without permission. This is a Flickr badge showing public items from Brandeis University LTS tagged with archivesandspecialcollections. Make your own badge here.